Buy Any book of Amish Tripathi from Shiva Trilogy like The Immortals of Meluha, The Secret of the Nagas and The Oath of the Vayuputras at whopping 50% Discount for a very limited time period from Amazon. A great deal for all the fans of Amish Tripathi's writing who create a new pattern in Indian reading industry. Amazon is giving the most Lowest price as compare to flipkart and other websites. You don't need to apply any specific discount coupon codes. 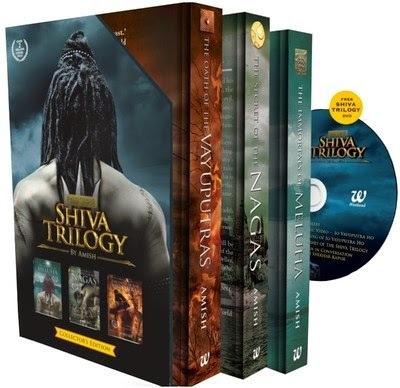 Just click on the below link and you will avail the Discount automatically on all the Shiva Trilogy Books. For more Discount Offers and Free Deals coupon, Subscribe All India Coupons Below.